This book is divided into 5 chapters, and each chapter consists of several related life lessons derived from the Noble Qur’ an. These lessons are meant to be as concise as possible, and at the same time as inspiring and helpful to the reader as possible. 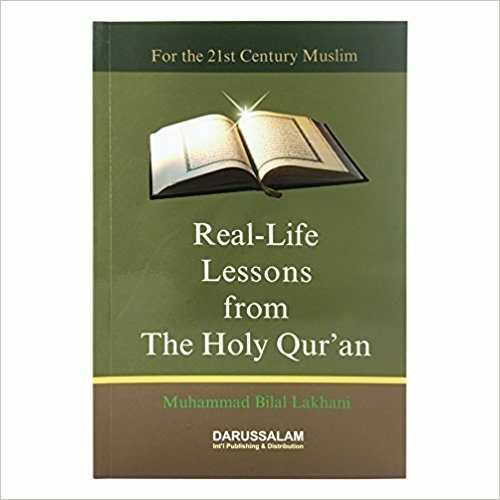 At a time when Muslims think twice before looking into the Quran for answers to their problems, This book of relevant life lessons from the Quran (that I was in immense need of during my teen years) will allow the Muslims of the 21st century to recognize the greatness of this miracle from God, and prevent them from making the same mistakes that many People make in their life. Topic 1 : What to do when Life is good ,bad or trying ? Chapter 1 :What to Do when Life is Good? Chapter 2 : What to Do when Life is Not as Good? A Step by Step plan to getting into Paradise. Then there are beautiful pointwise shortcuts to Paradise .Yes, the author gives us a realistic, easy and achieveable step-by-step plan to achieve Jannah! And who doesn’t want Jannah?! He then steers us towards a “fool proof” method of staying out of Hell. 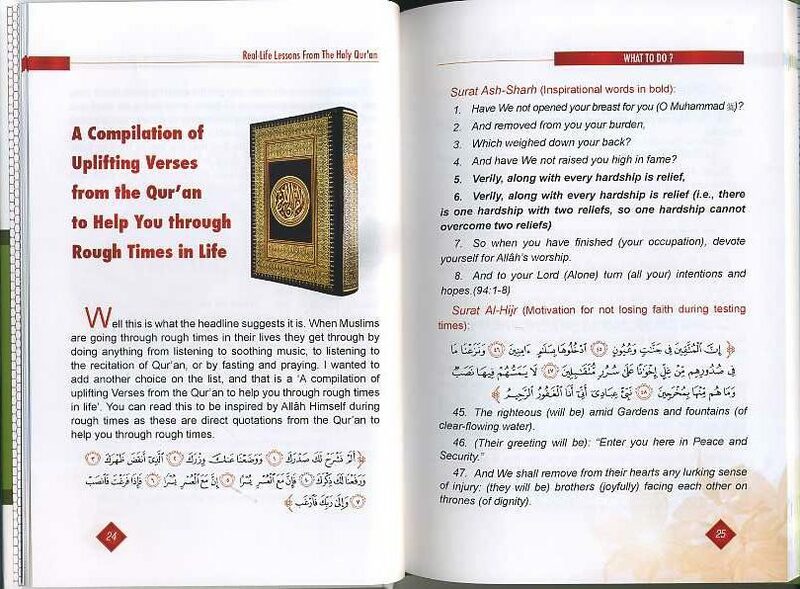 The Author presents a compilation of Qur’anic verses describing Hell: Subhan Allah, this compilation is something that we need to read and reflect upon daily. Additionally, readers are also taught how to master the art of repentance. The Books helps you in spiritual development and to overcome your bad habits .Truly this book helps develop a a strong connection with the blessed Qur’an and Allah Himself .It is not huge and vast.Just 96 Page book with wealth of useful information. Once you read the book , You will definately love it .